As we have previously advised, there are changes to the overtime rates for casual employees which come into effect on the 15th of April 2019. 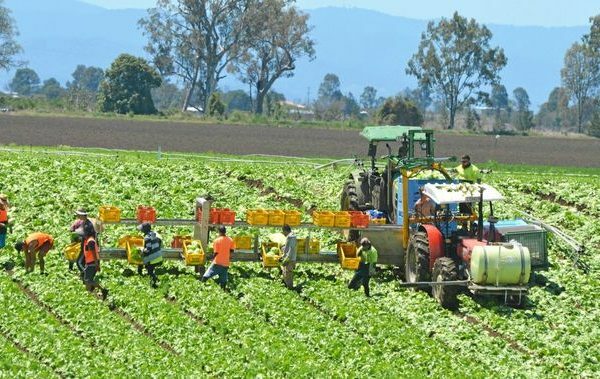 On the 2nd April 2019, the Fair Work Commission published its decision in respect of the issue of overtime payments for casuals under the Horticulture Award. The decision can be found here. AUSVEG has prepared a summary of these changes and the timeline leading up to them which can be found here. 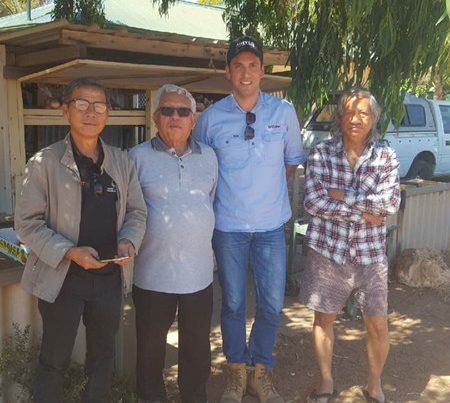 WA Growers should note, that their casual employees may not be covered by the Horticulture Award. In Western Australia, the application of these changes will depend on whether your business is covered by the State of Commonwealth awards. Please see the below infographic which may assist in determining whether these changes are relevant to your business. 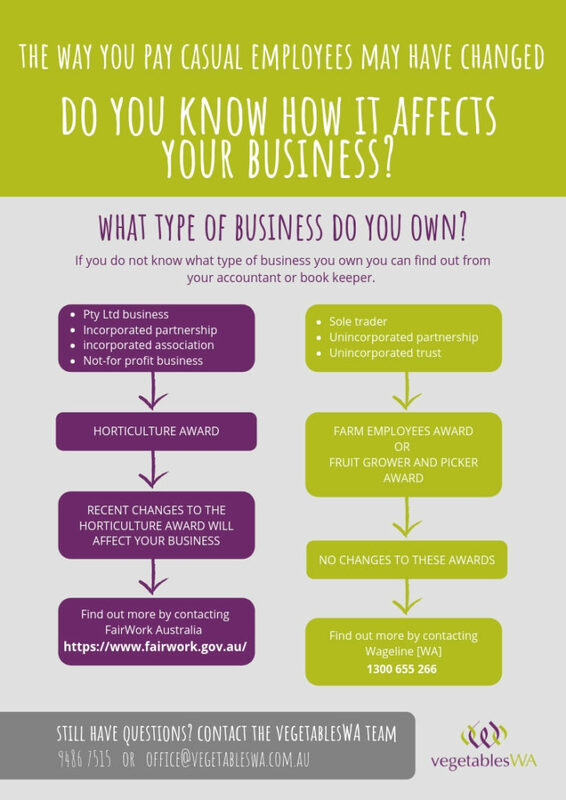 If you are unsure if these changes apply to you, contact your accountant, lawyer or the vegetablesWA office. Next PostNew course - Allergen Awareness - register now!